Inbound marketing. Account-based marketing. Influencer marketing. Referral marketing. Affiliate marketing. The list of marketing processes is endless! How do you know which methodology is right for you? Or better yet, which combination can bring your business results? 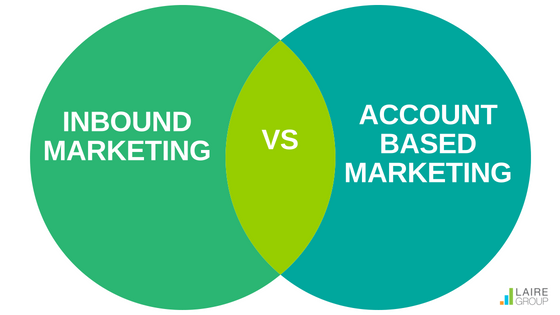 This article dives into the differences between inbound marketing and account-based marketing (ABM). Use it to learn about the two approaches so that you can make the best decision for your business. While both ABM and inbound each have their own advantages and disadvantages, it’s important to structure a marketing strategy that takes into consideration your business needs and customer pain points and desires. 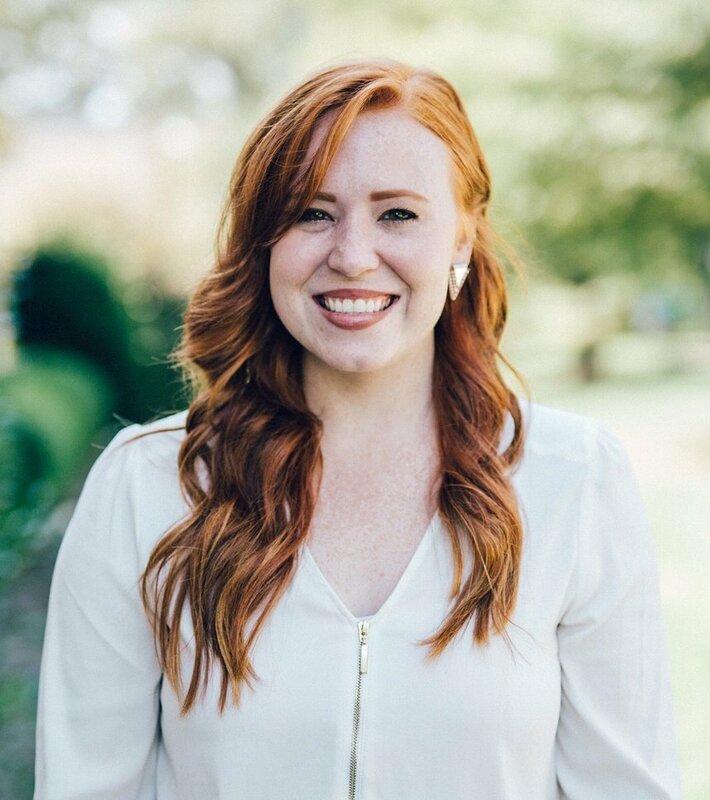 At Laire Group, we help our clients create a custom approach that meets their needs, even if it’s a mixture of inbound marketing and ABM (or others, too). Account-based marketing is an outbound marketing process populated by B2B companies who want to find and reach specific accounts. In B2B companies, you almost always need to reach an entire buying team to make a decision rather than a single lead. It’s not called business-to-lead, it’s called business-to-business for a reason. Each person in the buying team has different pains and needs. ABM enables you to center your marketing and sales efforts around an account with the goal of deepening relationships with personal information, for the right people, at the right times. The first step is to find the right accounts and then find the right people in the buying team. The next step is to do your research on the accounts. Then, create personalized marketing campaigns centered around the information you find. But why should you invest in account-based marketing rather than inbound marketing or lead-centric marketing? Focus your efforts on a much more targeted level so that you bring the right leads in. Inbound marketing can sometimes fill your funnel with prospects that aren’t a good fit for your product or services. You can monitor an account’s level of engagement rather than a single lead in the buying journey. By doing so, you can track the number of leads in an account and what their activity is, helping you determine which accounts are a priority. It helps you look at the entire account as a whole and then determine a strategy that resonates with them. This is especially important if you have large deal sizes. Why? Because stakeholders can’t stand sales folks who don’t do their research or feel that the e-mails they receive are blasted to many people. It can help you synchronize interactions and deliver consistent messages between members in an entire account. Inbound marketing AKA lead-centric marketing or demand generation, is the process of creating valuable content, attracting prospects where they are searching online, turning them into leads, and then nurturing them down the buying journey. Rather than focusing on specific accounts, inbound surfaces relevant and helpful information to the people who are looking for it. Although there are endless ways to think about inbound, here’s an example. Let’s say you’re looking to buy a car and someone you don’t know comes to you with the best car for your needs. Then, a friend comes up to you and tries to sell you the same car. Because you already have a relationship with your friend, you are more likely to take their word for it. Trust is already established. Although account-based marketing doesn’t advise spamming prospects, it is an outbound technique that depends on account research to be successful. If you don’t do the research, then you might as well be spamming people. People don’t always like people that sell to them. This is one reason why inbound can be a better approach. Your customers will come to you. You don’t have to “push” your products or services on accounts. You typically have a lower average cost to acquire a new customer (Source). On the flipside, it really depends on your average deal size. It improves your organic ranking over time. 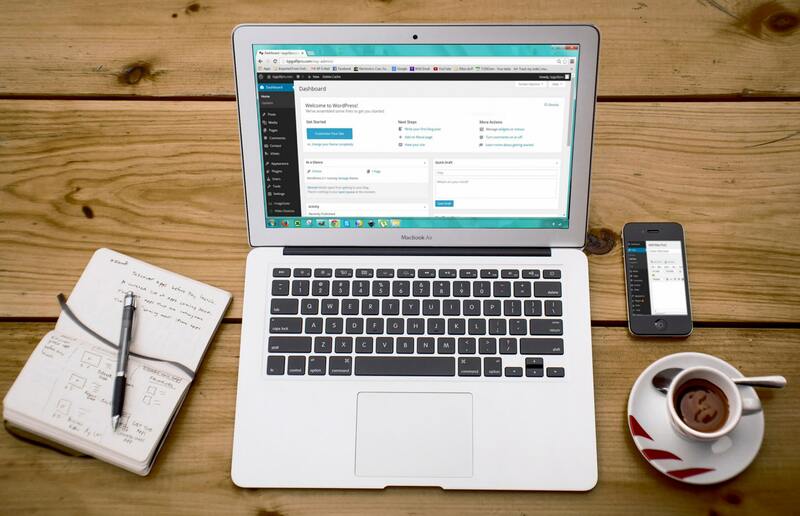 Inbound marketing focuses on content creation and blogging, which increases your website traffic and presence online. Often times, we find that a certain level of both ABM and inbound marketing can help your company. If you have large deal sizes and only have the resources to implement a limited number of tactics, then you may benefit from redirecting your focus toward an account-based marketing approach. Keep in mind that inbound marketing tactics could help you along the sales process and help establish your company as a thought leader, making it easier to “sell” to prospects later. Inbound marketing focuses more on the organic way of reaching your clients and less on selling. Remember that every company is different and has unique needs. That’s why you need a strategy that takes those needs into consideration - and we know it can be difficult. We have helped our clients generate millions of dollars for companies and we’d be glad to help you determine the right strategy for your business. Let us know if you need any help.